This week of camp sure did fly by! We ended on a very positive note with a day centered around many of the campers’ favorite thing at the farm: the animals! The morning began with some games and reflection before embarking on new adventures. 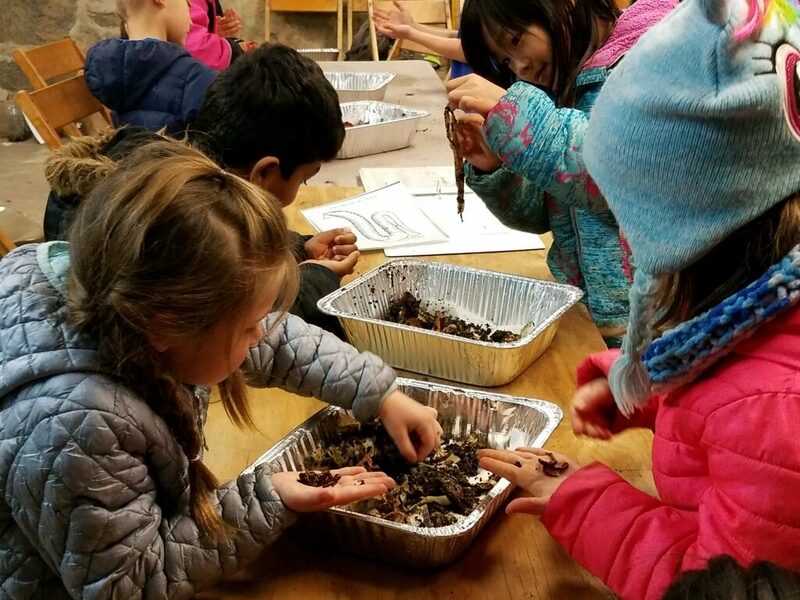 We started off garden time by learning a little more about a type of composting that we utilize here at the farm – vermicomposting. 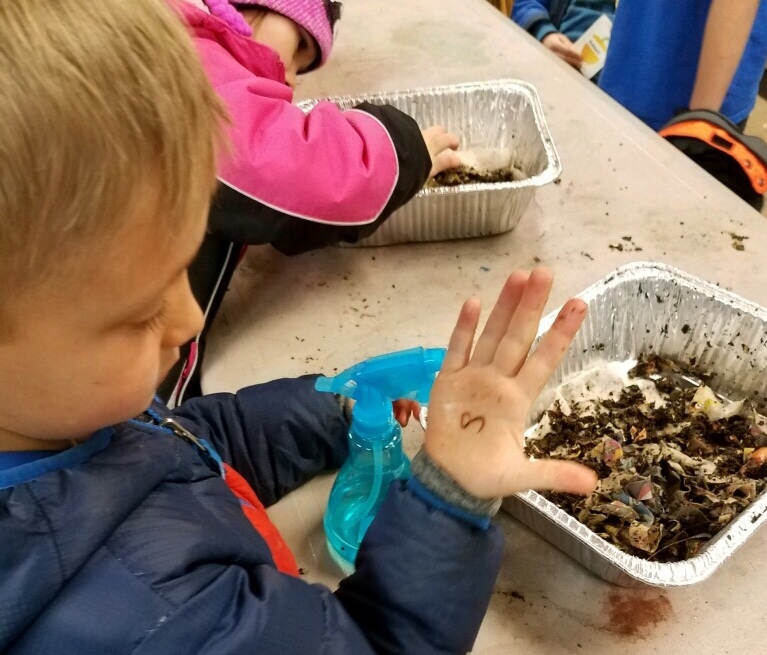 A not-so-fuzzy friends that we got to meet and interact with during this activity were the worms in our vermicompost bin. 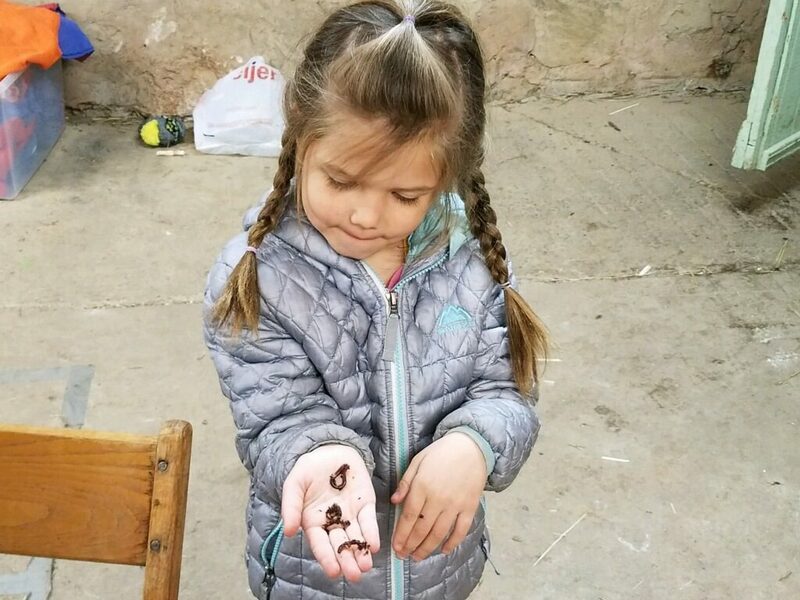 Campers were fascinated with looking at these critters up close and identifying parts of their anatomy. Orange peppers also took this time to engage in a game of decomposition tag out in the field, a version of freeze tag where the campers chosen to act as worms will unfreeze anyone who gets tagged by bringing nutrients back to the earth to support new life. A very fun way to warm up this morning! 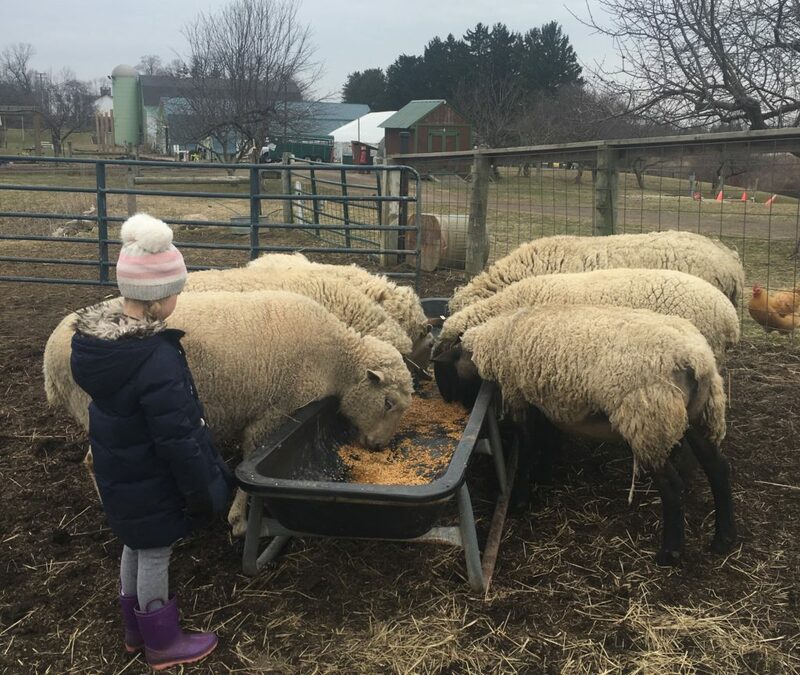 Our first visit to the animal barn today was to carry out our regular chores of feeding and watering the animals, collecting eggs from the chicken coop, and giving some love to the chickens, rabbits, goats, sheep, ponies, and horses that call Tollgate home. We had an embryology rotation this morning where the kids discovered all about the development of a fertilized egg. 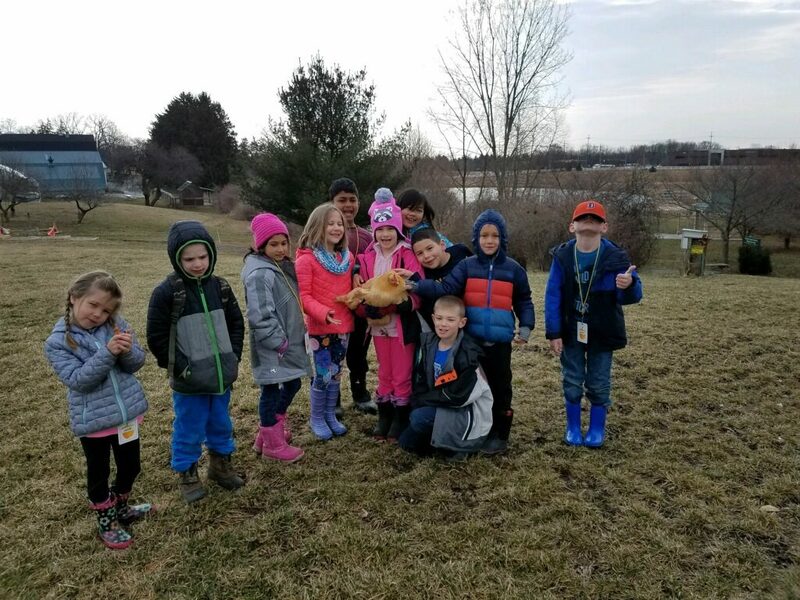 We started by observing the mother hens and comparing them to the newly hatched chicks as well as some chicks that are a little bit older. We also looked at some diagrams and models showing how the chick develops over the course of three weeks, and even did an egg dissection to identify the various parts of the egg. 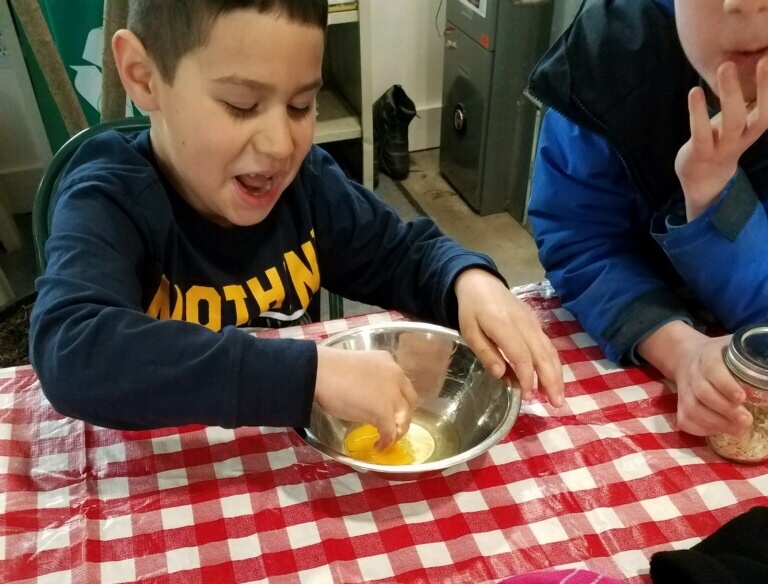 Continuing on the theme of eggs, we incorporated them into the AM garden kitchen by having hard boiled eggs. Campers also prepared veggies for the afternoon snack. Each pepper group was given the task of preparing a couple of the ingredients, and they very strategically worked in almost assembly-line fashion to peel and cut the vegetables. During lunch, Ms. Ellen’s son brought the Red Peppers a wonderful surprise, Ms. Ellen’s dog Teddy! 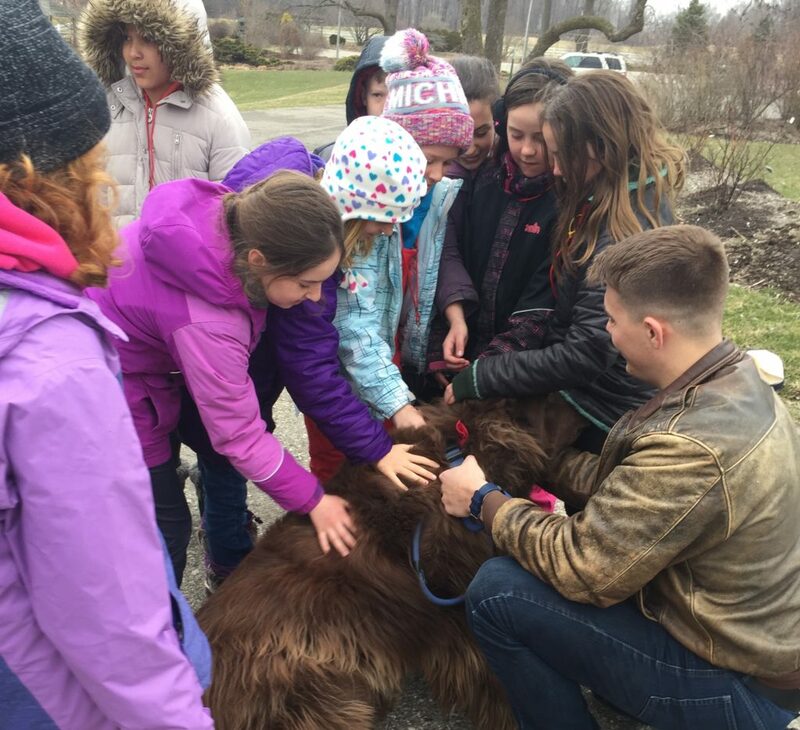 They loved getting to meet him and gave lots of pets. After lunch, one of the activities that involved our fuzzy friends was to take them on a haltered animal hike. 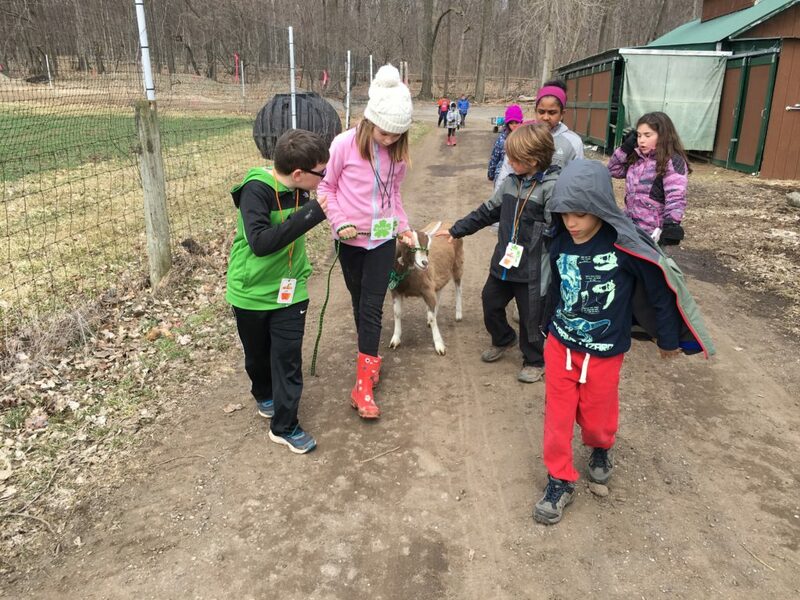 Campers were able to take out some of their favorite companions that they bonded with over the week and take turns walking them around the property. 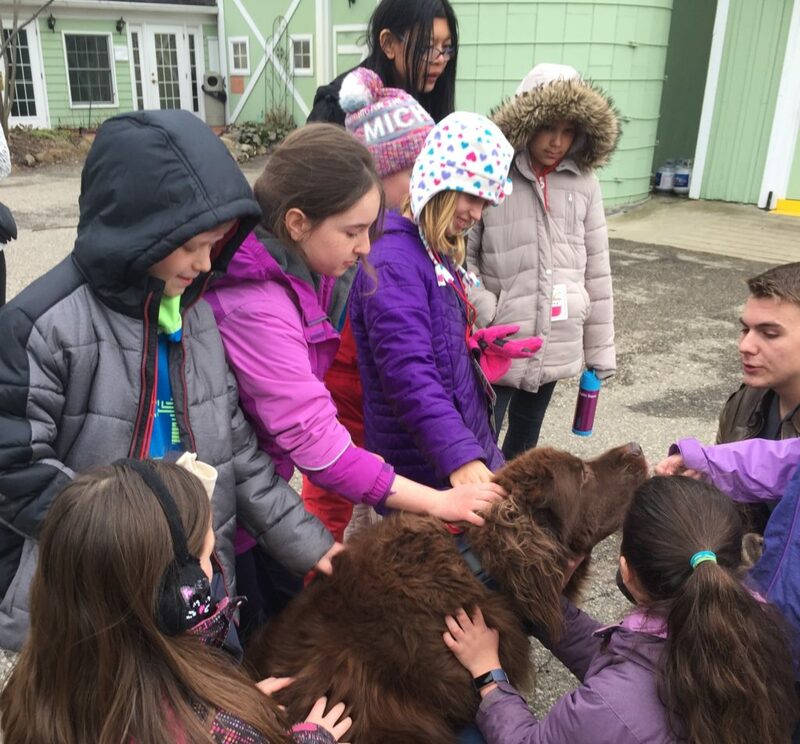 This was a great lesson for many of the kids that hadn’t walked an animal before, and also a wonderful opportunity to develop a closer relationship with the animals. 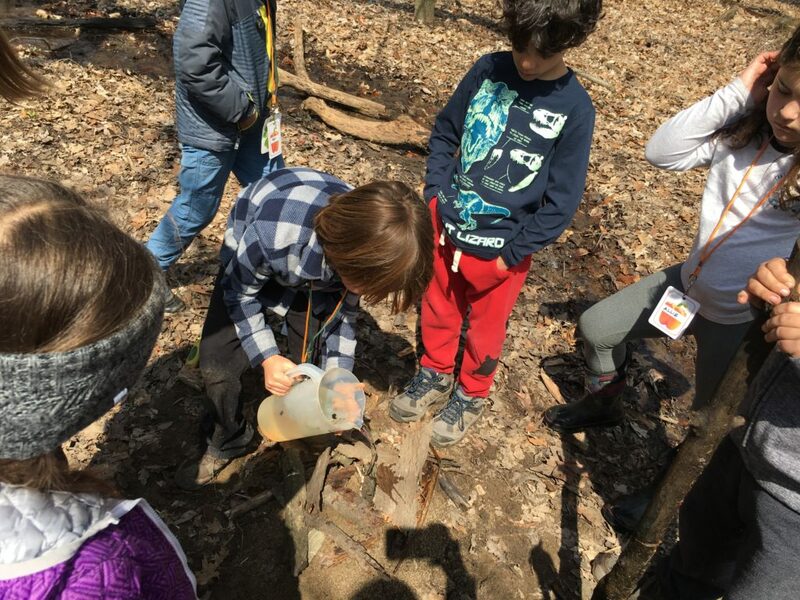 Today was the final day of our STEAM project, so when we went out to the woods, campers worked hard to perfect their erosion barriers before putting them to the ultimate test. Each group got to present their soil type, building strategy, and share what materials they used and why. Many also discussed how their engineering strategy was inspired by something out in nature or manufactured by people when tackling erosion problems in real life. During the test of water on land, the hills maintained their structural integrity and the soil mostly stayed in place. We were very impressed with how these projects turned out and how inventive the students were with their designs. 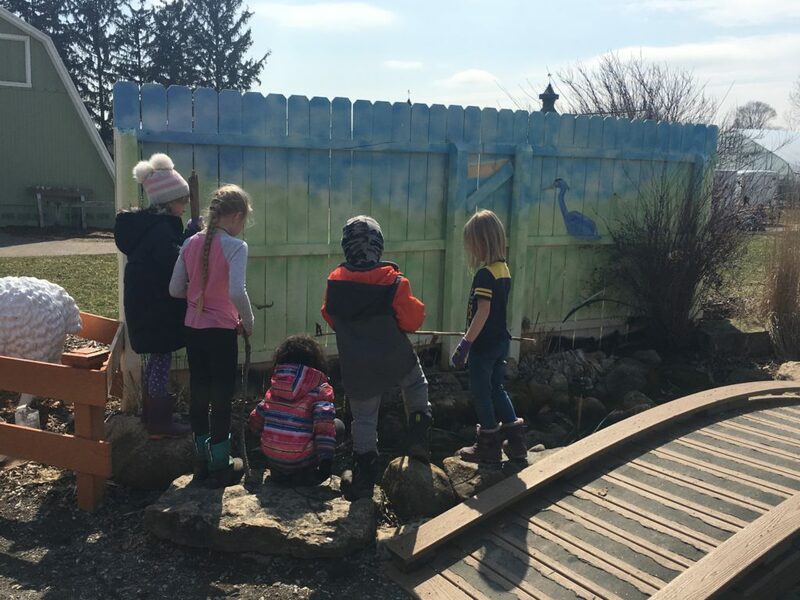 With the warmer weather and shining sun, most groups chose to take extra time in the forest to explore, play on logs, and splash around in the pond. Some campers got rather wet, but said that it was well worth it for the adventure they got out of the experience. 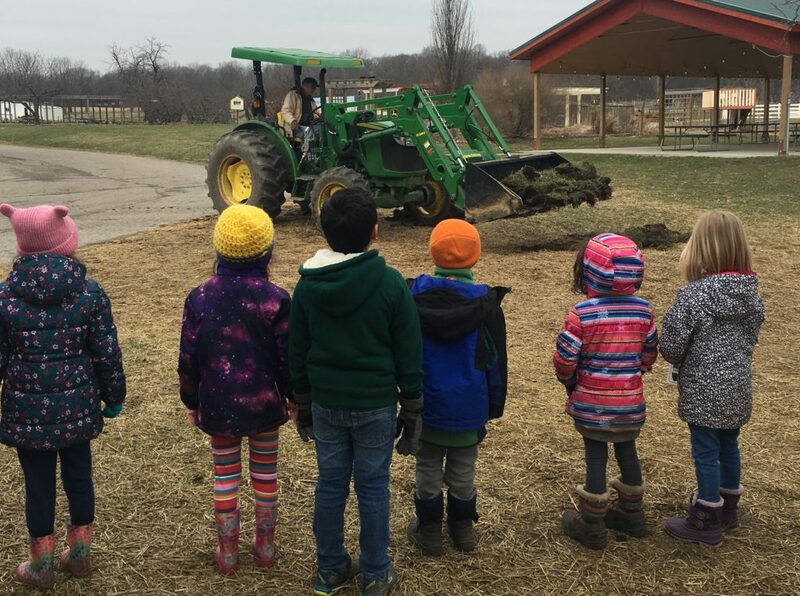 The Green Peppers took time to gather materials that birds may use as nesting material, so that we could set it out and help the bird populations that nest around the farm. Yellow Peppers also returned to ‘Mt. Woodchip’ for some fun-filled climbing time. Our PM garden kitchen snack was ‘Farmhouse Stew’ made with fresh veggies that the campers prepared in the morning, as well as vegetable stock, beans, and seasonings. Unfortunately the stew was a little hit or miss with the campers, so we accompanied it with some pretzels as well. We wrapped up the day with some reflections on our favorite activities during the week, some strengths that we exhibited, lessons we learned, and gave compliments to fellow campers on things that they did well. 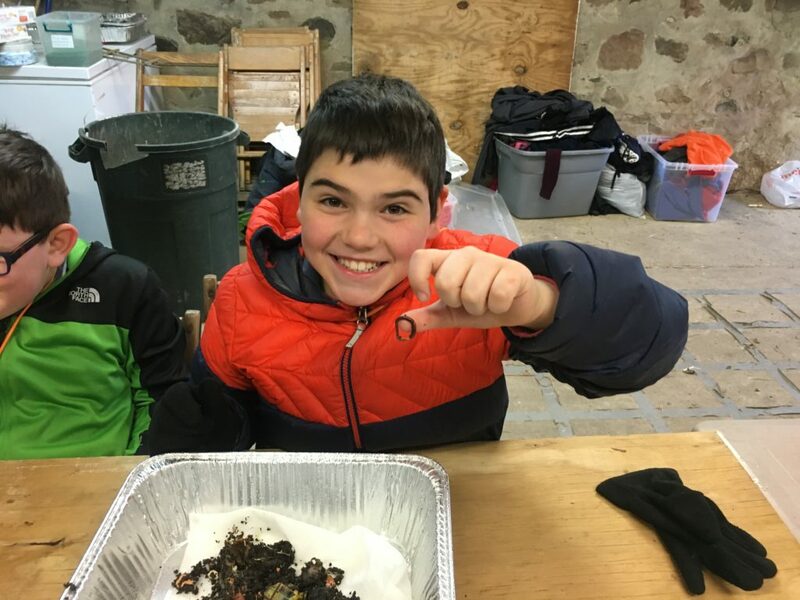 It is always bittersweet to part ways after such an exciting week, but we take many valuable memories away from our time together, and hope to see campers return to Tollgate this Summer for more incredible camp opportunities! This entry was posted in Camp Blog. Bookmark the permalink.